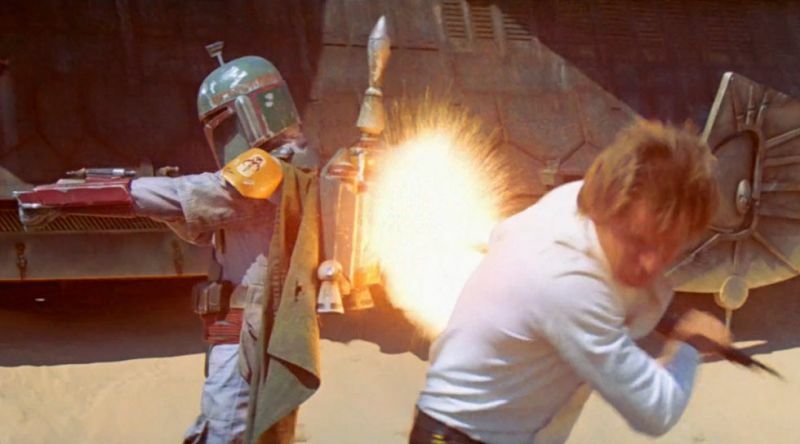 In a not-so-surprising move, Disney has officially cancelled its plans for a Boba Fett film and will instead focus on Jon Favreau’s upcoming The Mandalorian TV series. The news came directly from Star Wars head honcho Kathleen Kennedy, who told Critics Choice Association journalist Erick Weber at a Black Panther awards reception that Boba Fett was prematurely killed … again. Deadline reports that Logan director James Mangold is no longer involved in the project. He is currently focused on the 20th Century Fox vehicle Ford v. Ferrari with Christian Bale and Matt Damon. The decision was obviously a swift reaction to the poor reception of Solo: A Star Wars Story, which received favorable reviews, but tanked at the box office with just $392 million worldwide against a reported $300 million production budget (thanks in party to extensive reshoots). The post Boba Fett Movie Fails to Launch, Spin-Off No Longer in Development appeared first on ComingSoon.net.